NEW MILFORD — The school board has approved a $64.6 million budget for the next school year, which is 2.5 percent more than the current budget. The unanimous vote came last week following nearly $423,000 in cuts from the interim superintendent’s proposed $65 million budget. The initial proposal would have been 3.26 percent more than the current budget. “With a 9-0 vote, moving forward we believe this will be well received by the community,” Chairman David Lawson said. The biggest reasons for the increase are personnel costs and transportation, as well as around $184,000 less in state revenue and removing pay to play, which generates $110,000. 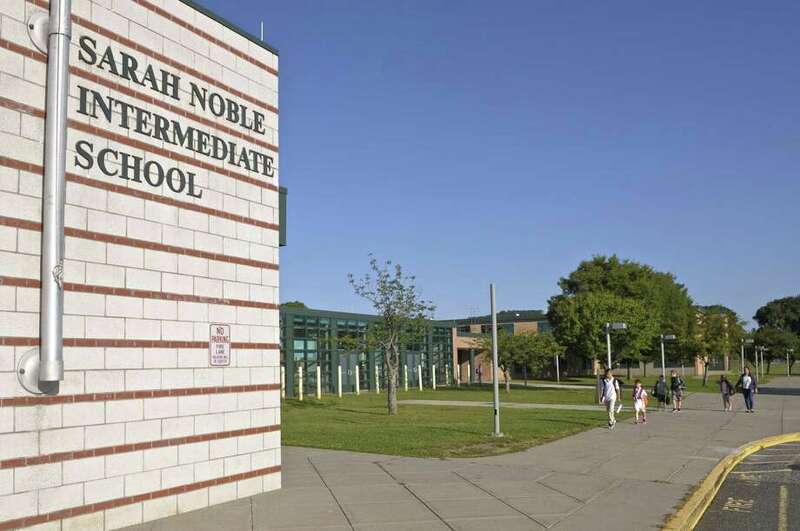 Several big ticket items were removed from the proposed budget, including capital projects, an assistant principal at Sarah Noble Intermediate School and a director of curriculum and instruction. The board also removed about $76,000 from insurance based on new numbers from the Connecticut Interlocal Risk Management Agency. Several board members said they would like to support the curriculum position but couldn’t justify adding two administrators in one budget. They said they would like to support the assistant superintendent in other ways, such as possibly giving the coaches more responsibility and would like to add the position into the next budget. It still includes the funding for the new special education supervisor, which was the other new administrator position. This person will oversee the special education programs at the K-5 levels. Board members and several parents said the special education position was needed. Adding this position was a common theme from board members on how they could support removing the assistant principal because it removes some of the responsibilities for the school administrators. “I hate cutting an administrator — I really do — but I the trade-off is worth it,” board member Bill Dahl said. Board member Tammy McInerney said she supports the special education position but they need to be careful other things don’t fall through the cracks because assist at principals do other tasks aside from special education plans, such as discipline and programming. “We don’t want to end up trading special education kids for typical kids,” she said. “That’s not what I want with this budget. Board member Wendy Faulenbach said Sarah Noble has about 200 fewer students projected for the next school year than in 2015. The board agreed to look at other ways to fund capital projects, such as partnering with the town to borrow money for some of the work or using the landfill settlement fund to cover townwide recreational projects. They said they were worried they would leave so little in the capital reserve fund and this is a good chance to ensure if all of the technology purchases are needed. “We need to hit the reset button on this,” Faulenbach said. The board removed $13,000 for cameras at the turf field and about $25,000 for sports uniforms and equipment, though they said they would like to keep up with the replacement schedule for the latter items if money is left at the end of the year. Board members Dahl and Joseph Failla opposed it, though. The approved budget moves a placeholder elementary school position to Sarah Noble to add another fifth-grade class. This is budget neutral. Several parents asked the fifth-grade position be added back after it was cut in the superintendent’s proposal. Justin Mack, a parent and former teacher, said having 24 to 26 students in a fifth-grade class is too many, especially now that teachers have to do more individualized instruction. McInerney said it was important to listen to the public and move the teacher.